With the first El Clasico in two weeks, we revisit a classic match between the two teams that defined Real Madrid at their best. With the build up to the first Clasico of the 2013/14 season on 27th October gaining momentum, THT Rewind looks at famous El Clasicos. Each of these matches had one team at the height of their powers. The winner decimated the opponents to win the bragging rights in La Liga. And the victor stamped the winning clubai??i? ?s philosophy over the game and the scoresheet. 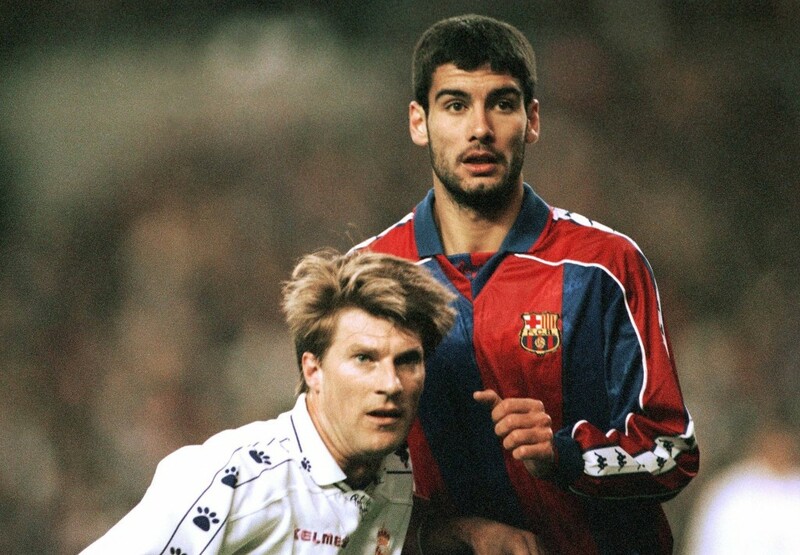 Today we revisit a game from the 1994-95 season between a Barcelona side filled with stars and a Madrid side on the rise. Barcelona had won four consecutive La Liga crown prior to this season. This was the Barcelona team coached by Johan Cruyff that had taken the world by storm and had sown the seeds for Barcaai??i? ?s tika-taka style of total football. Real Madrid welcomed their rivals to the Santiago Bernabeu looking to end Barcaai??i? ?s dominance in La Liga. Barcelonaai??i? ?s side of stars was now falling apart and this capitulation of the squad was coincided by the rise of Madrid. Youngsters like Raul, Fernando Hierro and Luis Enrique were set to take the stage by storm and go on to dominate world football. However, this particular night belonged to a Chilean striker. 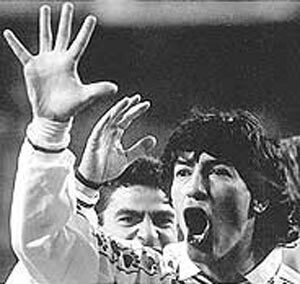 Ivan Zamorano was bought by Real Madrid from Sevilla for $5 million in 1992. 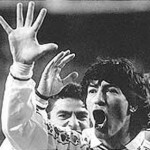 Zamorano played for Los Blancos for four years, smashing in 77 goals in 137 appearances. His crowning glory in a Madrid shirt came in the 1994-95 season when he scored 27 goals and won the Pichichi trophy for being the seasonai??i? ?s top scorer. His zenith of the season came in this particular game against Barcelona where he scored a hat trick against Madridai??i? ?s fiercest rivals. This Madrid team, in addition to having Spanish youngsters like Hierro, Raul and Enrique, also had stars like Zamorano, Milla, Amavisca and the Danish playmaker Michael Laudrup. 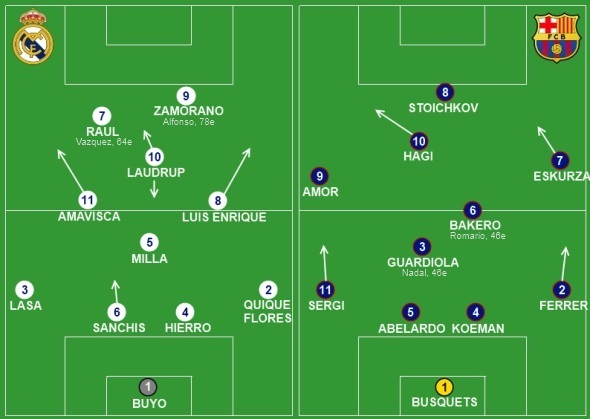 Zamorano and Laudrup in particular formed a feared partnership, with the Dane creating a majority of the Chileanai??i? ?s goals that season. Barcelonaai??i? ?s power on the other hand was waning. Former Barca manager Pep Guardiola, who oversaw Barcaai??i? ?s 5-0 win over Madrid in 2011 was part of this team. Players like Koeman, Romario and Stiochkov were on the slide and the Madrid team took advantage of this and turned out 5-0 winners on the day. Zamorano scored a hat trick with goals from Amavisca and Luis Enrique, who would go on to play for the Blaugrana in later years, completing the rout. Madrid went on to win La Liga that season to end Barcaai??i? 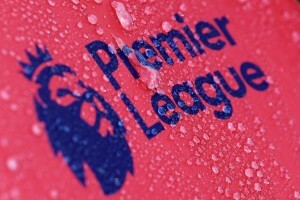 ?s four year dominance and Barcelona were left to lick their wounds in fourth position.